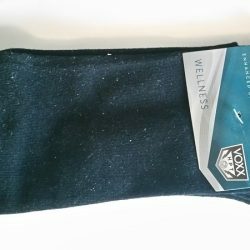 My Independent Voxx Socks Review - Magic Socks Or Garbage? 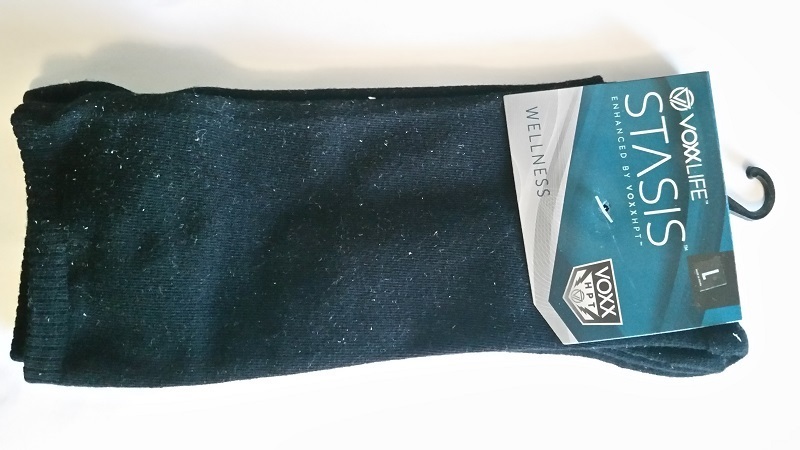 >> My Independent Voxx Socks Review – Magic Socks Or Expensive Garbage? So this post will serve as my authentic documentation of my experience with Voxx socks. At the time of writing this introduction, I have just decided to take the plunge after hearing about the product from a nice lady who was also a member of a health related Facebook group that I'm part of. As you would probably be able to relate, there's a LOT of garbage and bogus claims being made 24/7 in the health and wellness industry, so the idea that putting on a pair of fancy looking socks could drastically improve your health and well being by “tapping” into your neurology seems a bit ridiculous upon first confrontation. In fact, I actually laughed aloud when I first came across this to be blunt. However… I am, and have been dealing with some ongoing fatigue and brain fog issues now for coming on 3 years, so I'm in that place where I'll basically try anything once in order to get back to a state of feeling “normal”. 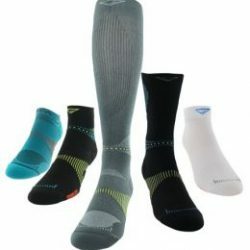 According to the website at voxxlife.com, the Voxx Socks via “Neuro Technology” which basically works by using a specific pattern that's stitched into the base of the socks/insoles (and possibly soon other wearable items like thongs, etc). This pattern is supposed to activate certain neural patterns, via a system that's similar to how the art of Reflexology works (Wiki link). So I officially started wearing the socks on the 2nd of August (2018). I have been rotating every 2 days, as the socks need cleaning obviously, and being a sweaty man, 2 days is the absolutely upper limit in terms of how much I can wear them without any noticeable stench (surprisingly though there's been no issues with them smelling so far). So far since wearing them (coming up to 1 week) I really can't say I've noticed any difference. I still have the same brain/fatigue issues that I've been dealing with, and whilst I week is a very short time, I'm not overly hopeful that these socks are going to do anything to effect my issues. I do not have any balance issues, so this point of testing will not be relevant for me, however as mentioned in the video, I do have a friend who's going to test this aspect specifically, as she's an older woman and may be helped if there is an obvious improvement in balance from wearing the Voxx insoles. Anyway, still very early days indeed, so I'll continue to wear them all the time at least for another 2 months. If I notice nothing by that time, I'll probably just consider them useless (for me personally). It will be interesting to see how they effect my friend and her balance though. I will update this page when I have more data (more time has passed with me wearing the socks) and let you guys know what I think. Okay so it's now been a few weeks of me consistently wearing the Voxx socks pictured above. I rotate between wearing the black and blue socks, as I obviously need to wash them. I am probably wearing them about 80% of the time, as I tend to wash them together as it's just too annoying to constantly be washing and drying them. I am guessing if these worked out for me, I'd probably just invest in another 3-4 pairs so as to overcome the washing/waiting problem. So how am I feeling? Basically, again as I stated last time, it's very hard to know if the socks are working… I have seemed to be a little less fatigued in general, and maybe brain fog slightly less foggy recently, but it's really really HARD to know if this is from wearing the socks, or if it's from doing other things, like I'm currently taking 5 capsules of Lithium Orotate each night, which is supposedly going to help my brain detox. So knowing whether it's the socks or the new supplements or just some other random input in my life that's creating the slight improvement is really very difficult. P.S. Carol left a great comment below in the comments section, so check that out too. 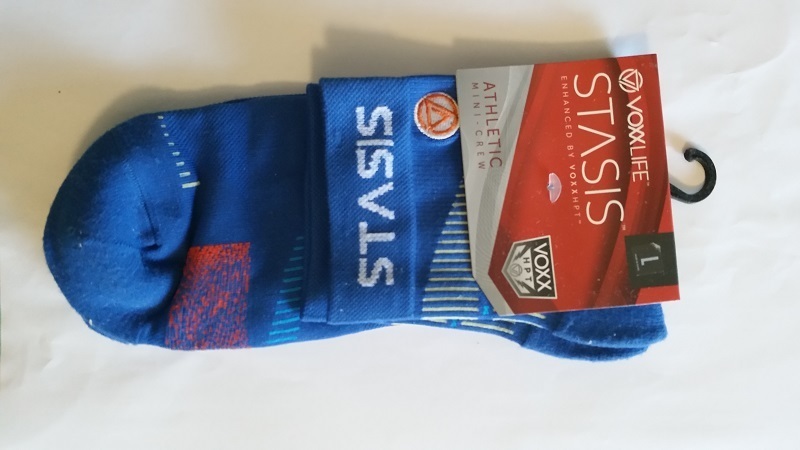 If you are looking to find the Voxx socks, insoles or other products, then you may or may not be aware that currently they are only supplied/shipped from Canada and North America. My experience in trying this product involved dealing with a nice lady in Canada, one of the reps for Voxx, Carol. She'x been really helpful in getting me the Voxx socks to try, and I found her very easy to chat with and cooperative despite me being in Australia and us having to navigate shipping etc. Obviously this review is still in progress, so read my updates above, and soon enough when I feel I've given it enough time to properly test, I will leave my overall conclusion of the Voxx product. About The Authors - Founder at Healthvibed.com, Nick is passionate about learning and implementing all information related to achieving optimum health. He's since made it his mission to learn, live and share these principles, many of which you can find on this blog. Read more of Nick's personal story here, as well as our mission here on this site, here. 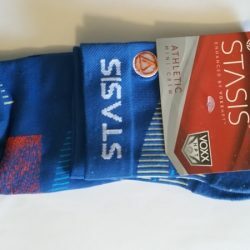 Did Nick ever review the Voxx Socks? I see only the preamble before the socks arrive. I got a bit delayed with this one Anita, I do apologise. I am still very keen to try the socks, but I had to order a Rife (Spooky2) Machine, so that chewed up my funds… I will still get Voxx and leave my experience here, so check back soon. Sorry if it halts assistance with your decision. So, 4 months later and still no progress on this review? These are an absolute scam. Voxx is a multi level marketing scam. Have you used the socks? I’m yet to do my testing. Agreed it does sound very scammy, but without any personal experience I’m not one to throw such labels around willy nilly. Just because they use a multi level marketing model to push their product to consumers doesn’t mean the product has no viability. I think comments like this can be really dangerous, and quite often come from an unfounded ignorance. Not saying you’re ignorant, but I’d like to hear a bit more about WHY you think they are a scam and if you have any personal experience or you’re just stereotyping the product due to the company’s marketing techniques. I’ll await a response from you. I’m astonished that you started the review of a product & posted it on the internet prompting people to read it & then never provided the actual review. You wasted people’s time & nowadays that is practically crime given how stressed we are & pressed to use our time constructively. Take this waste of time down from the internet please & be more respectful to the readers & be responsible with your behavior in the future. Don’t post a review & fail to actually do provide it. Nice friendly review so far, I like how your optimistic and try all resources to get healthy, it’s good to get into your mind as this is how many of us would also look at this x keen to see results!! Quick intro: I am the lady in Canada who introduced Nick to Voxx. My daughter and I have fibromyalgia and CFS. Voxxlife technolgy has being completely life changing for both my daughter and I, and grandchildren who have ADHD. Company claims are modest. Increased balance, range of motion, stamina, pain relief. The benefits of a more balance mid brain are far reaching. Brain scans are showing improvements in brain activity for every wearer including people with dementia. 40K+ people are sharing experiences on a Facebook VoxxLife Testimonial page including remarkable videos particularily with people who have neurological disease or damage. I have seen many results in person. The speed of improvements are dependant on the neurology of the wearer. For my daughter and I there were HUGE improvements in multiple areas within a day and some in hours. Pain relief for me was almost instant. For other people symptom relief comes in days or weeks. My friends daughter has Post concussion syndrome and resulting depression,lack of balance,migraines (that are also triggered with reading), Restless leg, fibro and CFS. She has been wearing the tech for 6 months now and pretty well each month she reports new symptom improvement or resolution. One of her greatest joys has been regaining the ability to read. without triggering a migraine. She has experienced multiple concussions over over her 20+ years, the last one about 2 years ago seriously impacted functionality. The stimulous from the tech causes the central nervous system to respond by strengthening or building new pathways. Damaged or dormant pathways take time to reactivate, and respond faster as the tech is worn more consistently. The technology only provides benefits when it is worn, and is not intended to treat disease. Each individual unique, the company acknowledges nothing works for every single person. They stand by the effectiveness of thier tech, with a 30 day money back gaurantee. For me the minimal cost of shipping seemed well worth the trial. I have been reaching out to others with similar health challenges to me, both to learn and to share my experiences for many years now. This is how Nick and I “met” each other. on line. Sharing my experience with VoxxLife is just an extension of that effort. I believe the extensive mapping done in developing this neurotechnology will be the basis of some facinating health advances in the coming years. I find that prospect very exciting! Thanks for chiming in here Carol, I’m sure people will get comfort from your personal story, and hopefully it will inspire them. I tried the Voxx insoles for a year. I was told the design pattern in insoles is the thumb print of the designer, who must be god or something. I have history Of plantar fasciitis which I was optimistic in finding some relief….I wore these for a year in different footwear, and in my opinion, these are way over priced, ineffective insoles. So with that said, I wasn’t going to waste another $50 on a pair of socks. My MLM friends have been trying to get me into this, but I have to be a firm believer in a product, this is pseudoscience as far as I’m concerned. I bought an ordinary insole for arch support that is far more effective on my foot and half the price. I agree with Arne. I too was extremely skeptical but since I am also aware of over 40 years of research that shows improvements with textures insoles I wanted to try it anyway. Voxx seems to ignore that the research that shows improvement have a specific texture shape and density which these sock provide none of. Every single video I have seen doing balance and strength demo’s are obviously different when done with and without insoles and socks. They obviously pull and push differently look at Jay’s foot position and angle of pushing and pulling it’s almost insulting. I have warn the socks with zero results. Canada based companies are known for being scams this was also on my radar initially. I sure wish they did a fraction of what they claim. One thing they did get right is having the pattern in the correct place many of these products stimulate the midfoot instead of forefoot I wonder if they would actually work to some degree if they were actually textured appropriately? I would love to hear if the insoles provided any help for Nick’s friend. I was introduced to them today at a trade show and thought they may help my mom with her balance issues. I’m wondering if you’ve had progress with the socks since your last post in Sept? I also bought a pair. Honestly, I consider the socks to be very affordable IF they actually repair neurological conditions when worn. I’ve only had them for a week. Unfortunately, I’ve had worsening symptoms (dizziness, migraines, brain fog). I have a hard time attributing it to the Voxx socks. But, decided to take a break for now. I have suffered with nerve pain in my foot for a couple of years. Nothing really seems to help the pain, which is moderate at this point but gradually becoming worse. I purchased a pair of the athletic socks at a Wellness Expo just over a week ago. I am a huge skeptic when it comes to this sort of product, but for $30 I was willing to give it a shot. I put the socks on and within an hour I felt a tingling sensation in my feet. Since then, I have been pretty much pain free. I will be buying another pair as it’s become a pain to keep washing these every other day. I don’t know how they work, but If they continue to work for me, I will continue to wear them! I have been wearing the Voxx socks and insoles for six months.I wear the technology 24/7 and have had improvements with several issues. I’ve dealt with depression most of my life and almost immediately after I put my socks on I felt a clarity in my brain I’d never experienced before. I’m 64 and recently became aware of balance issues but that is no longer a problem. My depth perception has improved and I even noticed that I’m comfortable driving over bridges on the highway. I used to get sort of a vertigo feeling when driving over bridges. I have essential tremor and it dulls the nerves in my arms making it difficult to write with my hand but now I can write with control & it doesn’t hurt. I have ADD and its very hard to concentrate & focus but the socks have changed that! The Technology relaxes our Flight or Fight response Andy therefore takes anxiety away. This Technology has changed my life for the better and I am so happy I found it. Thanks for a balanced review. I just want to point out that, despite the fact that Voxx and distributors admit the “technology” doesn’t work the same for everyone, all of the marketing I’ve seen so far is based on showing the socks or insoles providing instantaneous relief. In other words, it seems the product is largely being promoted based on the best-case scenario of effectiveness, rather than emphasizing the experience of the average person. This seems a bit deceptive and goes against the FTC marketing rule regarding franchise and business opportunity programs. Hi again. I wanted to thank Nick for reviewing Voxx even though his experience has not been particularly conclusive. I have to say three people I know with Lyme disease have had something of a Rollercoaster using the product. Understanding the complexity of Lyme it wouldn’t be unusual to have better days followed by worst in the healing process. They also sent pictures of how his drop foot had diminished wearing Voxx and I spoke to them via Messenger about how excited he was to be able to go for walks with his wife again. His not even in his 40’s. They have since ordered thousands of dollars of product for family and friends and I continue to receive new testimonials from the sharing that they ate doing. The husband told me he brought socks to a friend who also has MS and he also had immediate improvement. I also sent to a lady in the U.S. with MS who having received her first products gave me an over $500 order the next day as her tremors stopped the first day. Voxx has a partnership for cause now with the Canada MS Society. II do have customers who get a few benefits quickly and continue to observe new benefits over many months. I appreciate that Nick is extending the benefit of the doubt because the tech does affect people differently but we do know with thousands of electromagnetic scans that everyone experiences better neurological balance and circulation flow in the brain. If we claim the company is a scam without complete due diligence, we stand to discourage someone from trying it. As to the comment on the balance testing appearing to be fake, you would have to experience either having it done on yourself or doing it on someome else. For most people the shift in stregnth and balance happens in 7 to 9 seconds. For a half dozen people I have tested I have had to wsit as long as 4 minutes for thier brain and muscles to engage. It is harder to feel on the odd person with perfect balance and stength, but for most people the difference can be astonishing. Thanks again Nick. Your willingness to bring this product to light is making a huge difference to a steadily oncreasing number of people who are willing to experiment with a whole new concept in Wellness support. If anyone would like to see the comments of people actually using the product,,message me The Facebook testimonial is followed now by close to 50k people. There is a search function on it to search various conditions and relevant comments. Apologies for the frequent typos. I am using a really small screen. Most are self explanatory. I meant to say the person that messaged me was estatic. Think auto spell correct is messing with me!